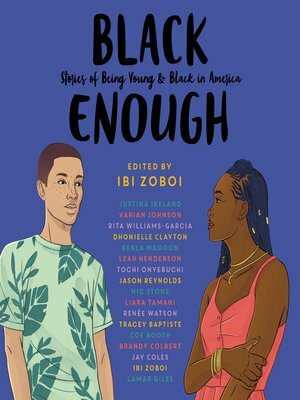 Edited by National Book Award finalist Ibi Zoboi and featuring some of the most acclaimed, bestselling black authors writing for teens today—Black Enough is an essential collection of captivating stories about what it's like to be young and black in America. Black is... three friends walking back from the community pool talking about nothing and everything, in a story by Jason Reynolds. Black is...Nic Stone's bougie debutante dating a boy her momma would never approve of. Black is...two girls kissing in Justina Ireland's story set in Maryland. A poetAn artistOne blackOne whiteTwo voicesOne journeyJason Reynolds & Jason Griffin are superheroes.